Vanity Recordings is proud to present the debut album from AW of Concrete Mascara, “Transilient”. Recorded under his solo alias, Agidion, the album is composed of 15 tracks of pure IDM from an alternate future. this is digital architecture in dead space. 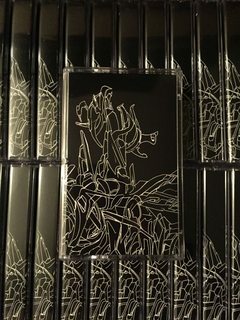 for the curious and interested "Transilient" is now streaming on bandcamp, and available on professionally duplicated cassette as well.